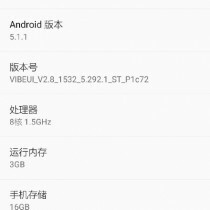 Early this year specs for the Lenovo Vibe P1 Pro leaked but it has been pretty quiet since then aside from a TENAA certification. 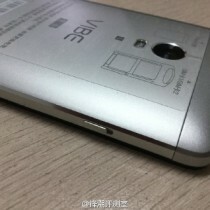 Someone posted hands-on photos and some specs on Weibo giving us the first real look at the device. A roomy 5.5" 1080p screen is housed in a magnesium alloy unibody. 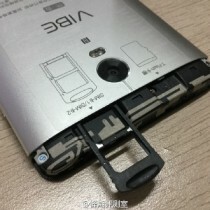 Inside that is a whopping 5,000mAh battery. 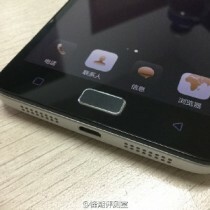 You can see a panel on the top comes off, allowing you to access two SIM cards and a microSD. 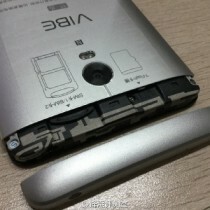 It doesn’t look like the battery comes out of there though. The Vibe P1 Pro is powered by a Snapdragon 615 chipset with 3GB of RAM, plus 16GB of storage. 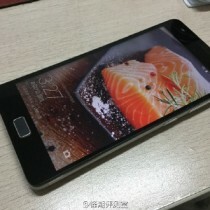 There's a 13MP camera on the back with dual-LED, dual-tone flash and a 5MP selfie camera. According to the about screen the phone is running Android 5.1.1. The Home key houses a fingerprint reader. 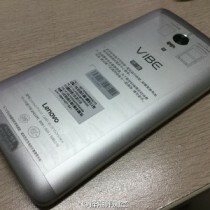 The Lenovo Vibe P1 Pro should be unveiled at IFA in a week. 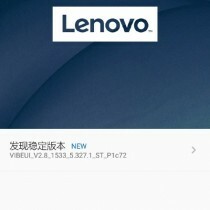 Hopefully we'll learn more about the charging situation – the S615 chipset supports Quick Charge 2.0 (up to 3A), but to quickly fill a 5,000mAh battery Lenovo may have a trick up its sleeve.